The Clan AC side played its second home game of the season against championship contenders the Nor'Westers in what turned out to be an entertaining and competitive encounter. The Nor'Westers (NWAA) came away with a 31-22 win, though they were made to work very hard for it as the Clan came out swinging in attack and defence. 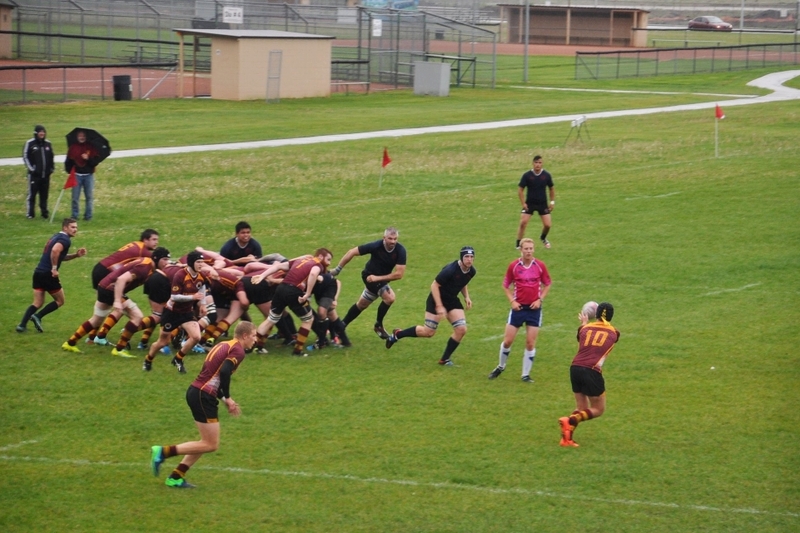 The NWAA threw everything they had at the Clan, and the home side responded in kind with some brutal hits in defence, coupled with strong carries and offloading in attack. The game was very evenly matched with the sides separated by just a couple of seized opportunities by the Nor'Westers. There were plenty of positives to come out of this performance and, if it weren’t for a misfiring set piece, the Clan could have come away with the victory. Running the cutter at 10 was Jack Howarth who passed, stepped, kicked his way around, through and over the Nor'Westers defence and always found a man in support. While the scrum was a battle all day, the Clan’s young props Kieran Plihal and Ryley Irving contributed massively around the park, bringing true grit and steel into the contact areas, while Trevor de Zeeuw showed great pace and an eye for the gap in a strong 60 minutes on the field. With another short turnaround, the Clan has the chance to get back on the horse and its season underway this coming Thursday against the Druids. Facing off against the Nor'Westers on Saturday afternoon at Ellerslie, the super2s built a 10-3 lead thanks to tries from KC Idoko and Jahvon Laing. 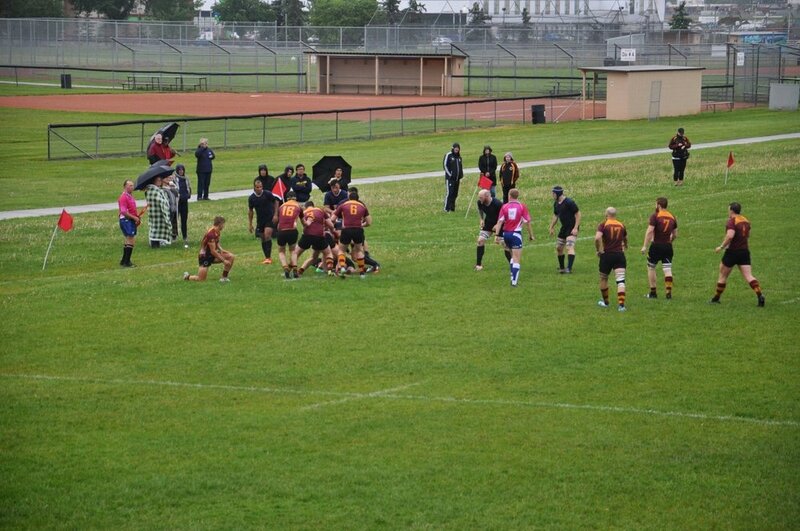 A strong Nor'Westers scrum won a penalty try late in the first to level the score 10-10 going into the 2nd half. Idoko chipped in a penalty early in the 2nd half to put the 2s up 13-10. The second half was mostly a stalemate resulting from some below average set piece play by the Clan and handling errors by both sides. With the score knotted at 13-13 late in the game, the super2s played strong goal line defence phase after phase. The Nor'Westers break would finally come thanks to some questionable scrumming techniques which went unnoticed by the match official on the day. The Clan charged back inside the ‘Wester 22 with under a minute to go but another unforced handling error preceded the final whistle. 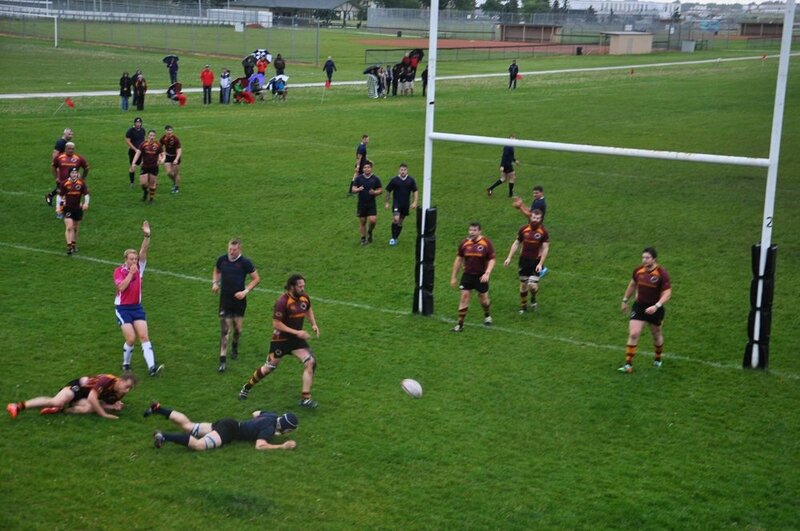 The Clan U21 men are savouring a sweet 29-17 away victory, their first of the year, over their St. Albert foes. With a stifling 27°C kickoff temperature and a strong, dry westerly blowing, this was going to be a tough evening. That coupled with both squads having very short benches ensured this contest was always going to boil down to effort in the second half. Some early back and forth was highlighted by patient and well-structured phase play from the Clan. However, a few critical defensive lapses allowed St. Albert to gain a 17-12 lead 55 minutes in. 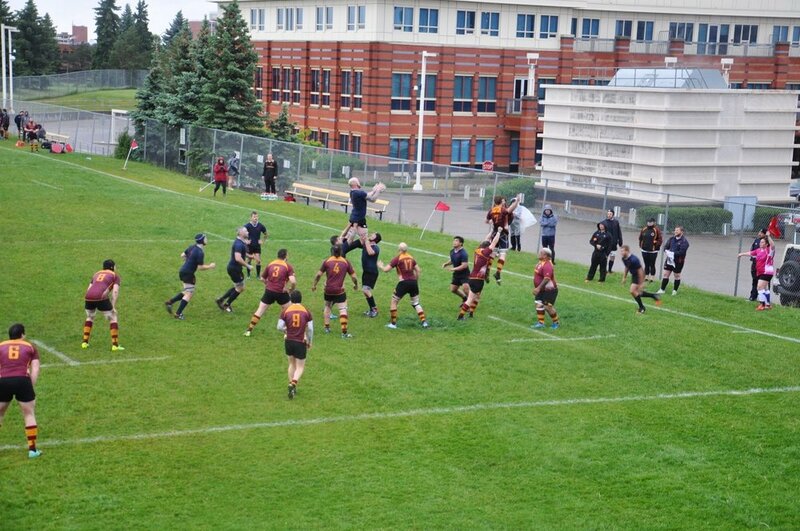 Points appeared difficult to come by for both sides, and finally a stoic defensive stand by the Clan inside their half forced St. Albert to take a shot at goal that would’ve extended the lead beyond a converted try. Unable to read the home field conditions, the subsequent miss and a reprieve obviously sparked something within the Clan. The next 5 minutes saw the boys in blue launch back-to-back, superb, long range tries. Following this, St Albert were playing catch-up and threw everything they had at a tiring but determined Clan team that held firm. Another, well deserved try near the end sealed what was an excellent opening victory for the season. Everyone in the squad had earned a beer after that performance, but special mention must be made of our number 8 Brennin and Wyatt Pospisil in the pack who were especially dominant running the ball and really provided the winning impetus. Hopefully, with some guys coming back from injuries and better turn out at practice, the squad will build off this benchmark. On Thursday June 8th, the Clanswomen took the field against the 2nd place Druids. The ladies came out strong and showed that when they are at their best, they’re as good as anyone. The Druids and Clanswomen exchanged a pair of tries early on, and it looked as though we were in store for exciting fast paced rugby. Sadly, that wasn’t to be the case as the Druids took advantage of a series of mental mistakes from the Clanswomen. Through lapses in concentration, the Druids were able to run the score up, seemingly every single time the ladies made a mistake. The match ended 70-17 for the Druids, but the day was not a total loss. The Clanswomen fought hard until the very last whistle, keeping the Druids in their own end for the final 5 minutes. In addition, some very young and first time Clanswomen stepped up and gave some impressive performances. Rookie player Kelly Soucy had a stellar day at loose head prop including some great tackles and line breaks with the ball. We face the Druids again on June 15th, determined to show them what Clan rugby is all about.